You’ve got an on-campus interview. Yay! Now what? Here is my two cents about how to prepare, and an example of the preparation materials that I used in interviewing for the position that I currently have. Figure out the points that you would like to emphasize about yourself (i.e., what makes you a great fit for this particular position?). Bullet point these, and be sure to bring these up during the course of your interview. Make a list of the standard questions you anticipate being asked, and bullet points of how you might answer these. Make a list of other questions you may be asked, and have a friend or mentor practice asking you these. Make a list of questions that you should ask—target different people / groups you meet. Lastly, research the organization and people that you are meeting with. Have notes on each person that you might meet (you should be given an extensive itinerary ahead of time). Carry all these notes with you, and refresh your memory right before you have meetings. Don’t be shy about pulling out your list of questions—they will be happy that you are prepared. Excitement that this may be a really great fit for me. Said thrilled in cover letter and meant it. Love for the region, personally it would be great to be much closer to family. Visited friends on campus several times—great community, greatly valued their education, still have great pride that they went there. Excited about the prospect of having graduate students, journal clubs, lab meetings, etc. Lastly, Ryan’s statements on ecolog about a university that is commited to advancing women in STEM fields “This is real, not puffery” is very exciting on many levels. What would you do in the first few years? Question—facility to rear animals (insects)? What is lab space like? 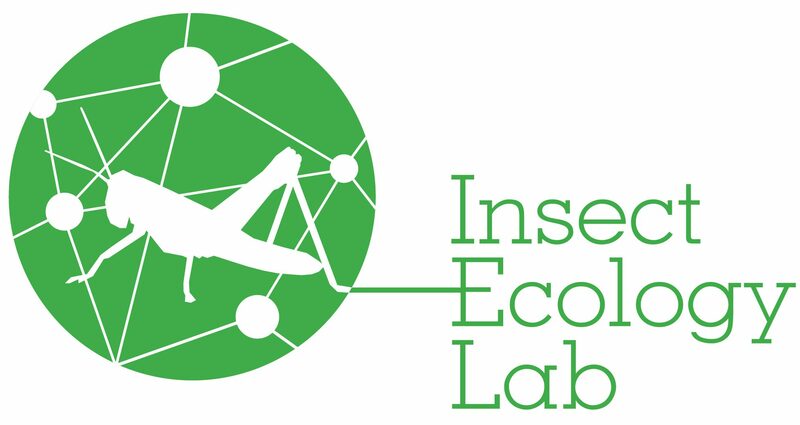 Goal: Build a first class insect ecology lab. Continue work on NSF and USDA grants in Texas—likely spend next 3 summers in Texas to do this. Great graduate student opportunities here. Envision so many questions that will naturally flow out of these studies. find research sites sample local grasslands with various land management—understand local species. Pick a few to rear in the lab. What species are most amenable to lab studies, and are abundant locally? Can these species detect different levels of micronutrients in plants? What physiological processes do these nutrients effect? What are your interactions with students like? Classes—professional (Dr. Prather), but inviting. Undergraduate Mentoring—ask students to call me by first name, try to get to know them well. Give me phone number, email. Have students over at least once during the field season. I start off the summer by spending an hour or so with each discussing career goals, and how summer might fit in. Try and give them a project suited to their interests and goals. Question: Are there “natural” areas close to take students for labs? Look forward to being in a area close to some nice bodies of water to waterski. Like to garden, hike, run. What classes might you offer? Why do you want to work at this university? What will be the topic of your first major grant proposal? What are your laboratory and facilities needs? Where do you see your lab or research in five or ten years? How will you measure your success as a scientist? What sort of projects will you have in mind for students? What is your approach to mentoring undergraduate and graduate students? What are your plans for publishing? What new strengths or skills will you bring to our department? What courses can you teach? Which would you prefer to teach? What is your approach to teaching in a large lecture setting? What is your approach to teaching small upper-level courses? How do you handle conflicts with students or faculty? How would you see yourself fitting into a department like this? What do you think about the department? What would you like to see in the person hired for this position? What is the atmosphere in the department? What are the graduate students like? Do faculty collaborate? Share equipment? What are the facilities like? Office space? Lab space? Other research spaces? What are the expectations for tenure in the department? How are faculty supported in the summer? Work / life balance of faculty members? Are there other faculty with young kids in the department? Do you think the current chair is effective? Do you think your colleagues are generally collegial? Is there much collaboration between faculty? Does the department / university make it easy to get research done? What are the roadblocks to research here? What is faculty lab space like? Are there internal grants for faculty? For students? SURF program? Can you easily purchase things you need for research? Can you buy yourself out of teaching with grant money? Who teaches classes if a faculty member “buys out” a semester? Pay for faculty to go to meetings? What support is available besides TAs and RAs? How do you ensure a positive experience for students with many different advisors? Do students from different labs interact frequently? Pay for students to go to meetings? What types of challenges do you think exist here? How do you like being at this university? What would you change if you could? Is the administration supportive of faculty? Do you like working with the sponsored programs office? Is this position to replace someone or is it a new hire? Local natural places to take students? Do faculty teach any classes in the Common Academic Program? Which ones? What is Biology Seminar 299? Capstone seminar 420? What is the difference between intro biology (ecology and evolution), ecology/ecology lab, environmental ecology? PhD courses: why methods and biomedical science and ecology? Who teaches Biometrics? What type of programs are used to teach statistics? Does the campus offer good support for teaching? Do you like teaching the classes you teach? What is important to know about the students here? What are the undergraduate students like? How many students does each faculty member advise? Are study abroads very affordable for students? Can you live comfortably on the salary? How do you like living in this city? Where do most faculty live? What do people do for fun in the local area? Is there continued training in teaching that you can participate in? Are there discussions among department members about pedagogy? Do you feel valued by the department? Included in faculty meetings? Decision-making? Do you think the chair is effective? What are your biggest challenges working here? What is the strategic plan for the department? What are you looking for in this hire? Do you envision more hires in the future? What is your biggest challenge as chair? What are your goals for this department / college? What is your strategic plan for the college? Do you anticipate new hires in the college soon? Start-up funds for this position? Can you buy yourself out of teaching time with grant money? What is your vision for the college? What is the overall perception of the biology department at the University? What do you see as the role of teaching? Of research? What is the research climate like here? How do you support faculty research? What is your vision for the University? What are the biggest challenges that the University faces? Why did you come to Dayton? I will close my eyes, and someone count—how many of you have a positive relationship with advisor? How many are happy in this department? How is the level of financial support for students? Do you feel like you can live comfortably in the area? Are the faculty generally supportive of students, or is it more “us vs. them”? Do the faculty generally get along or are their different factions? Do you like the seminar series? Do you have reading groups? Do you like living in Dayton? Do you like teaching the undergraduates here? What is the process for a masters like here? PhD? Is there much of a “community” feel in the department? Supported to go to meetings? Previous Looking for a new graduate student! Next How do we evaluate graduate students in their advancement towards becoming independent scientists?